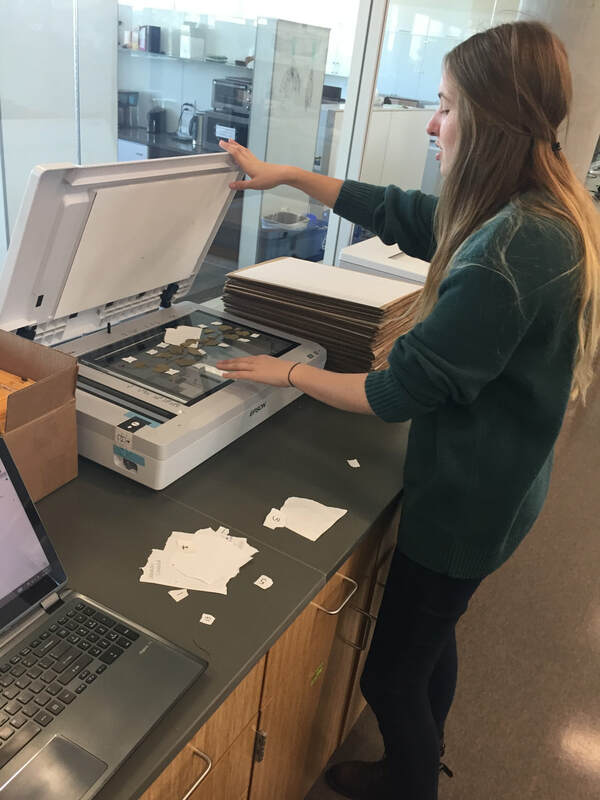 Research assistant Emma Frawley (SLU) and undergraduates Niyati and Olivia scan leaf collections from Mount Vernon. Postdoctoral Associates: Laura Klein (SLU), Zoë Migicovsky (SLU). Graduate Students: Gaurab Bhattarai (MSU), Zachary Harris (SLU), Joel Swift (SLU), Adam McDermaid (SDSU), Mani Awale (Mizzou), Al Kovaleski (Cornell, USDA), Juan Xie (SDSU). Undergraduate Students: Olivia Weigl (SLU), Niyati Bahkta (SLU), Vickie Williams (SLU), Colton Nettleton (SLU). ​Technicians: Emma Frawley (SLU), Connie Liu (Mizzou). Interns: Dahlia Martinez (E&J Gallo Winery). 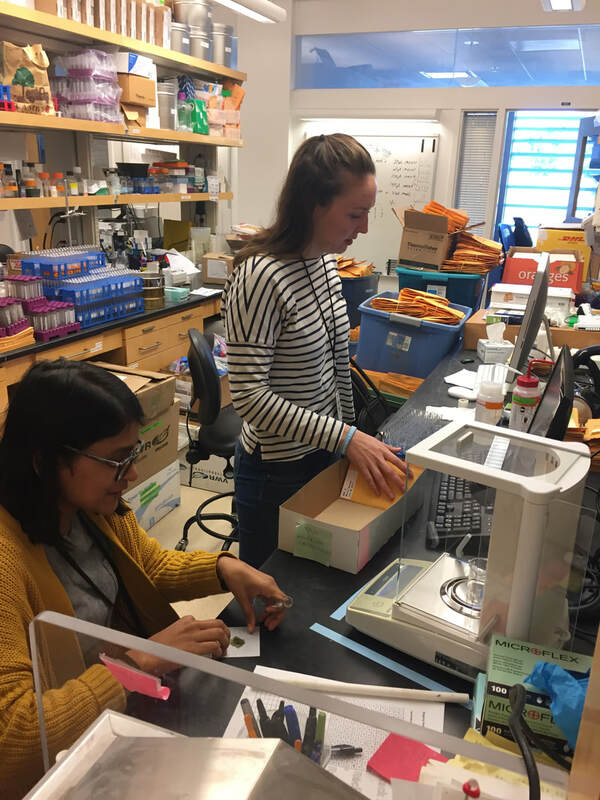 Undergraduates Olivia Wiegl (SLU) and Niyati Bhakta (SLU) prepping leaves for ionomics. Undergraduate Danielle Hopkins (SLU) scans grape leaves. Undergraduate Colton Nettleton (SLU) landmarks grape leaves. Grape leaves that will be landmarked are collected and stored from oldest to youngest position on a vine, as pictured. Oldest (bottom) to youngest (top) leaves. 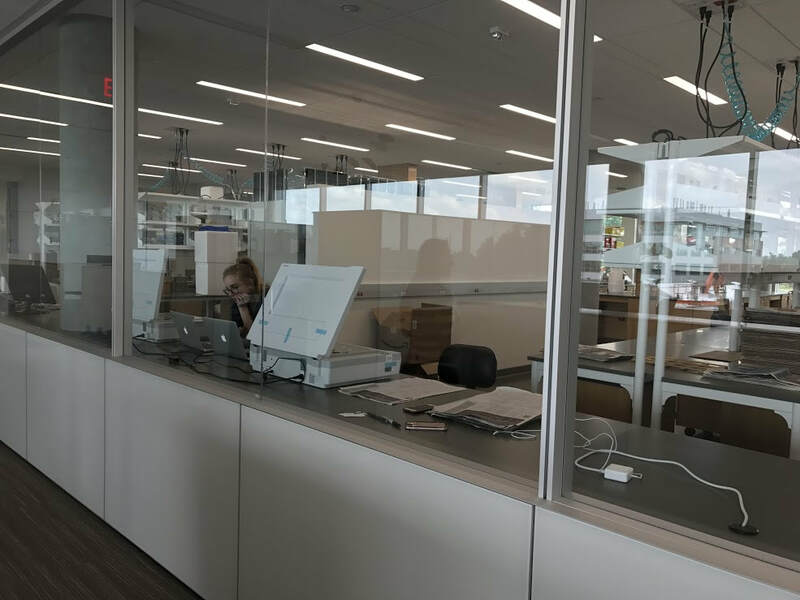 Our work further promotes increased scientific literacy and public engagement with science through partnerships between universities and public institutions. 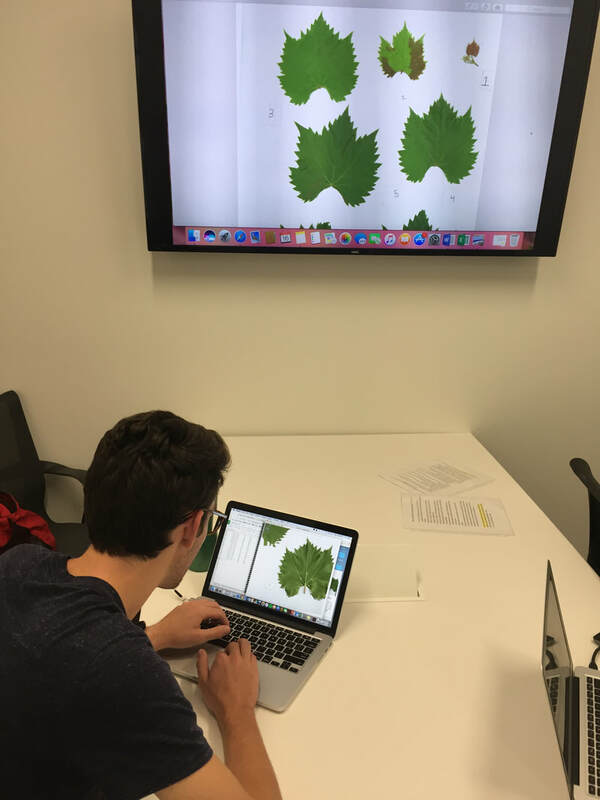 Specifically, this project offers a unique opportunity for multi-dimensional educational experiences in basic and applied research in viticulture with our GOALI partner E. & J. Gallo Winery. Through internships or short training sessions in Gallo vineyards, project participants will assist with data collection for phenotypic, transcriptomic, and genomic analysis, in addition to learning applied components of viticulture, such as vineyard establishment, variety development, cultivar choice, plant propagation, and grafting. Ultimately, each of our training and outreach efforts contribute to the preparation of a new generation of active scientists with a capacity to advance sustainable agriculture through the development of perennial crops for changing climates.